This Seems Unfair and/or Unrealistic! 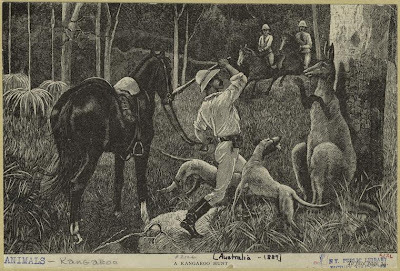 I know about shooting fish in a barrel, but bopping a kangaroo on the head while it's pretending to be under arrest against a tree? Hum. (Another great one from the NY Public Library). 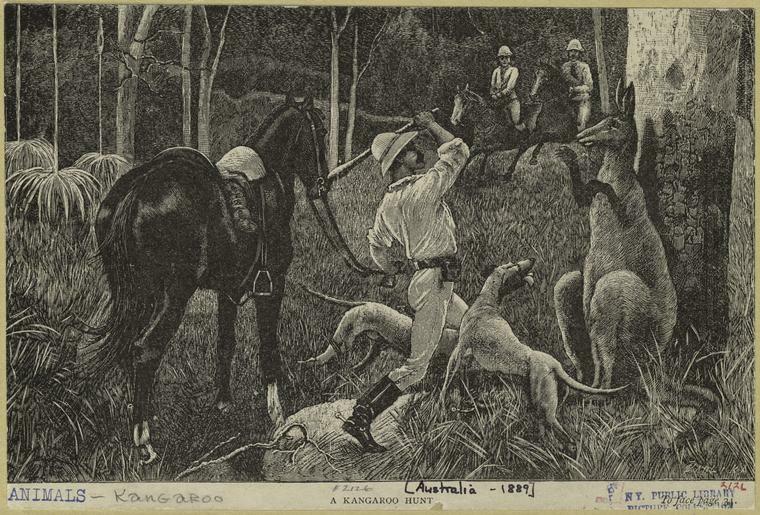 Nothing wrong with that: kangaroo looks a bounder of the first water! This makes me sad. This guy didn't have a chance.